Ffynnon Sadwrn lies on a grass verge within a small housing estate in Craigside, below the Little Orme at the eastern extremity of Llandudno. The road leading to it shares its name. 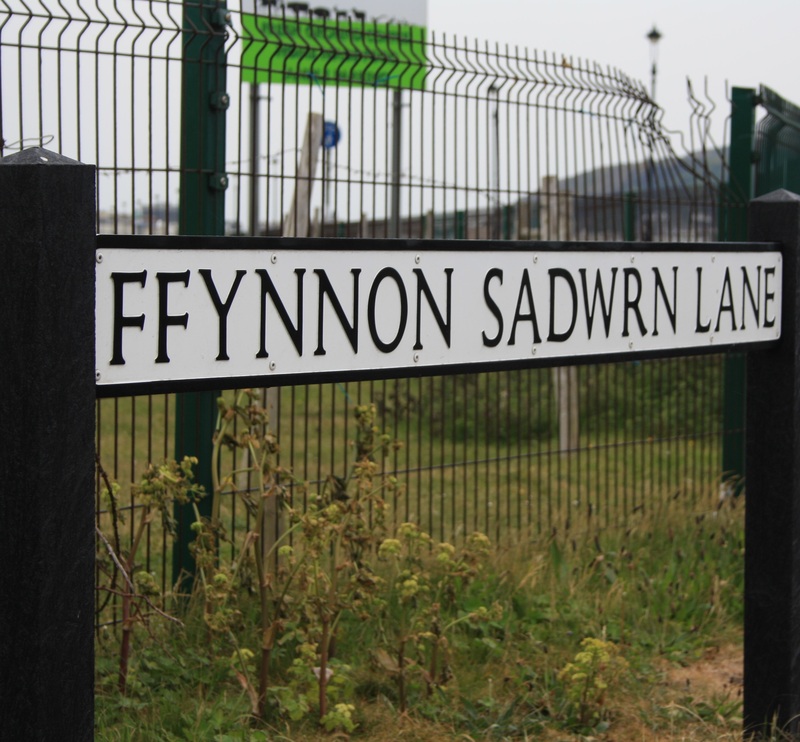 There is a Ffynnon Sadwrn in a neglected condition, in the parish of Llandudno, situated near Little Orme’s Head. A lane there takes its name from it. All this is a little curious since Ffynnon Sadwrn appears, with its name, on all the Ordnance Survey maps back to at least 1889, something that many now more well known wells can’t claim. 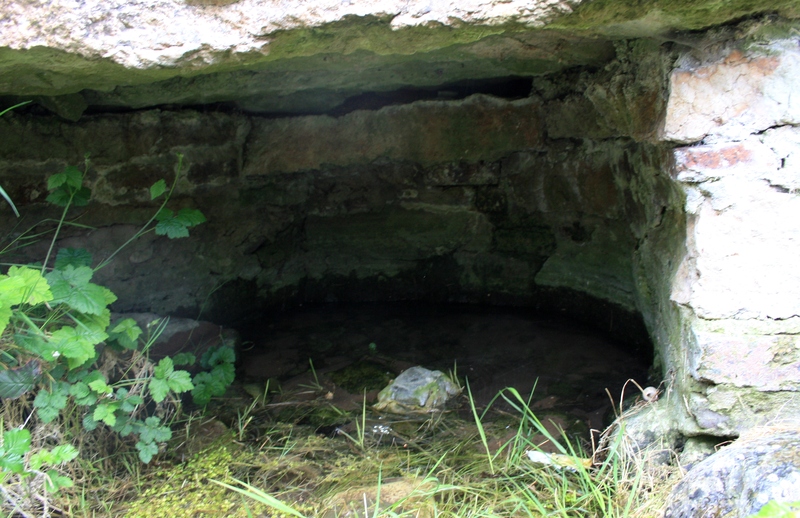 There is a good spring of water near Bodafon called “Ffynnon Sadwrn”, Saturn’s Well. Apparently the flow from the spring has been much stronger in the past; it was reduced as a result of drainage work carried out on the Mostyn Estates lands around Bodafon. Baring Gould and Fisher identify two Sadwrns. One lived at Henllan near |Denbigh, the church there is dedicated to him, although a well carrying his name at Henllan has now been filled in. This Sadwrn appears in legends of St Winefride and her journey to Gwytherin. A second Sadwrn lived for at least a part of his life on Anglesey. The parish of Llansadwrn there is his foundation, and where he is supposed to have been buried. There is a carved figure in Beaumaris, believed to have been removed from Penmon Priory at its dissolution, thought to represent Sadwrn. He is portrayed as a knight, in a suit of armour, with a sword by his side, a shield on one arm and a pilgrim’s staff in the other. This Sadwrn is referred to as Sadwrn Farchog, the knight, and some legends link him with stories of King Arthur. Baring Gould and Fisher distance this Sadwrn from the one at Henllan solely on the basis of the association with Winefride. If we discount this story as later invention, then there is no longer a need to define two Sadwrns, in fact they share the same festival of November 29th. This they have in common with Saturninus, the martyr bishop of Toulouse, suggesting a further scope for confusion. It soon becomes clear that there is no clear identity of the origin of Sadwrn or the reason for a well carrying his dedication here in Llandudno. 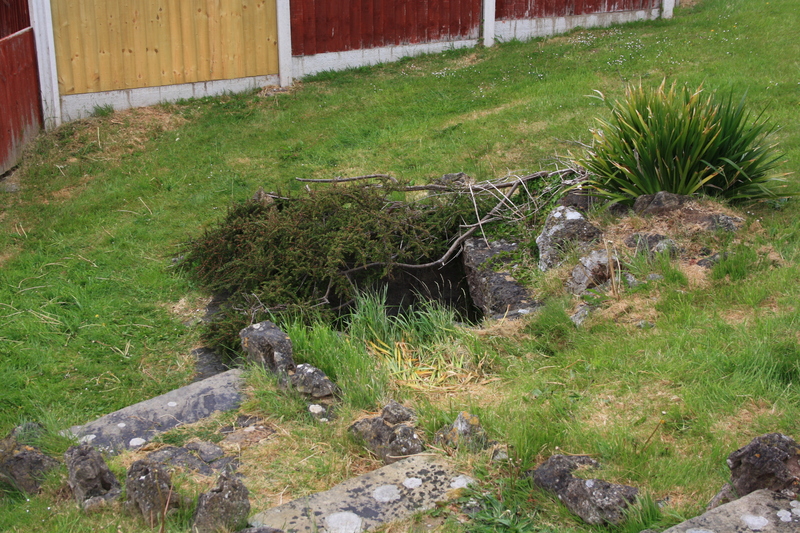 The well, formerly standing out in open fields, has now been incorporated within the landscaping of the housing estate and appears well maintained. 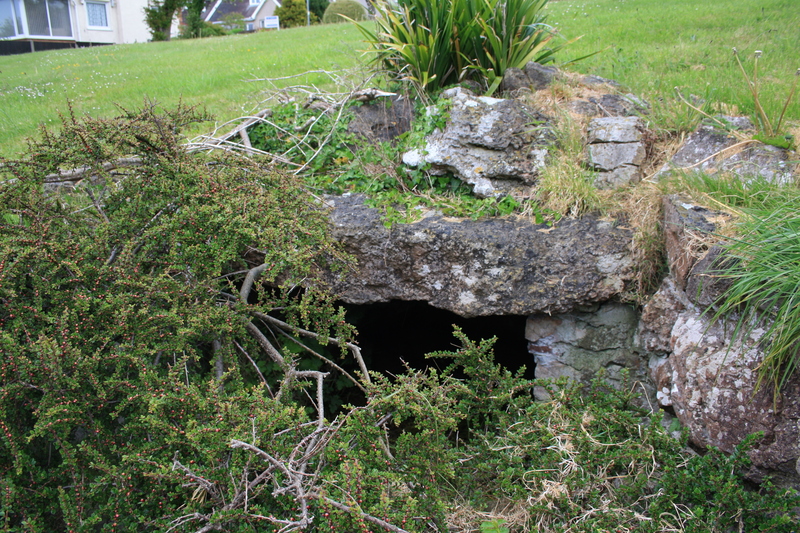 Stone steps lead down to it from the roadside, and cotoneaster has been planted around and over it. 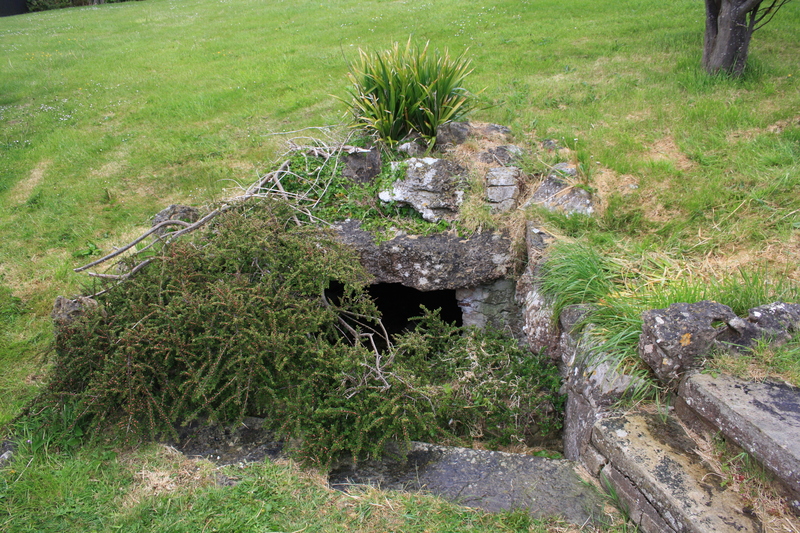 The well chamber itself, built into the earth bank, is semi circular, stone around the outside but lined with brick, with a stone roof, giving the appearance of twentieth century reconstruction. There is still water within the well basin, but it no longer represents a strong spring today. A name board identifying the well usually stands beside it, but this was missing on our visit.